I must confess, one of the things that attracts me most to the great world of tea is the vast array of teaware. With varying colours, styles, and purposes, there is no shortage of variety when it comes to the tools and vessels we use to make our favourite beverage. If you’re like me, you have accumulated quite an astounding plethora of teaware. My unintentionally formed collection includes mugs, cups, and teapots (many of which which have been handed down to me by past generations. Understandably, much of the teaware I own has burgeoned value outside of it’s immediately apparent practical application. It has sentimental value. Many of the teacups I own for example remind me of family members and past memories. As such, it is important to me that I take proper care of them. Taking a few extra minutes every day to insure your teaware is properly cared for will pay off in the long run. Not only will you limit risk of breakage or other damage, you will also give yourself the option of potentially handing down your favourite teapot for the next generation to use and enjoy. 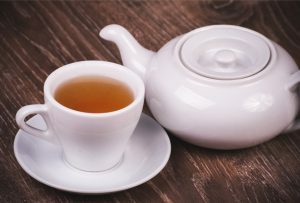 There a few things you can do that are quite easy to properly care for your teaware of any kind to increase its longevity and protect it against abuses and neglect. The first of these things is proper storage. Teaware is not as picky as tea itself when it comes to storage conditions, yet it is still very relevant to its proper maintenance and care. Simply making sure that your teaware is kept out of reach of pets and small children can make a huge difference in the longevity (not to mention the security) of your precious teaware. If you have pets or small children that pose an imminent threat to the safety of your teaware, do yourself (and your pets/children) a favour and put your teaware on a high shelf or any other out of reach location. This drastically limits any risk of potential breakage and chance of harming anyone with teaware shards. The next good habit to get into is regularly giving your teaware a thorough cleaning. This may sound like a no brainer, but you would be surprised how often I come across people who neglect to practice proper teaware hygiene. There is no need to be surgical about teaware cleaning. However, washing your teaware with soap and hot water and giving a thorough drying with a tea towel ensures that all tea residues are properly taken care of. Teaware that is allowed to build up residue may impart a bitter taste onto the tea that is brewed in it or served from it. Cleaning any teaware regularly (preferably with every use) removes the risk of contamination and improves the quality of your cup of tea. 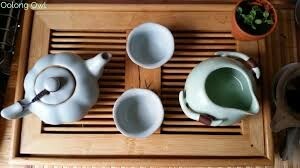 Lastly, it is beneficial to take the time to handle your teaware carefully. By avoiding rough handling and banging your teaware around, regardless of the material it is composed of, you can easily avoid small cracks and stresses that could eventually lead to complete breakage. When serving tea, set your teaware down carefully and place it in the centre of tables and counters, not on the edges. This removes the possibility of you or someone else accidentally knocking it off onto the floor. By properly storing your teaware, keeping it clean, and handling it carefully, you can increase the longevity of your tools and give yourself the opportunity to pass it, along with a passion for tea, down to the next generation.